The restaurant re-opened last Friday after having been closed since last July due to a fire. 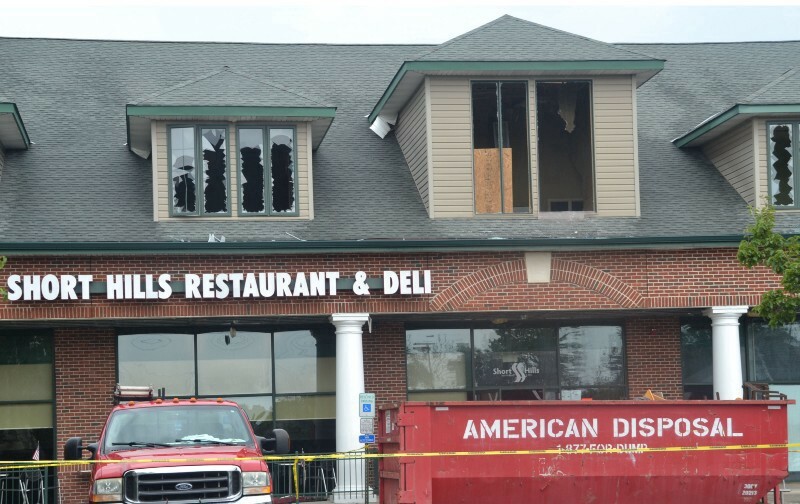 Short Hills Restaurant and Deli in the days following the fire in July 2016. The restaurant re-opened for business on Friday, June 2. Short Hills Restaurant & Deli re-opened on Friday, June 2, almost 11 months after a fire shut down the store. To celebrate the occasion, the restaurant will hold a grand re-opening and ribbon cutting on Wednesday, June 7 at 2 p.m. Owner Jerry Kaplan along with the entire staff will be joined by Cherry Hill Mayor Chuck Cahn of Cherry Hill and other invited local municipal and officials to be a part of this commemorative event. The grand re-opening and ribbon cutting is open to the entire community and will include refreshments provided by Short Hills Restaurant and Deli and a wine tasting with Auburn Road Vineyard & Winery. Following the fire, the restaurant has undergone a complete interior reconstruction from the entrance and take out counters to the dining areas and new state-of-the-art kitchen. The establishment now features a self-serve pickle bar, new menu selections and Saturday morning breakfast specials. Short Hills Restaurant & Deli first opened in 1997 and has become a South Jersey landmark, boasting a dining menu of more than 200 items and offering full catering services. The restaurant is conveniently located in the Short Hills Towne Center at 486 East Evesham Road in Cherry Hill and open from 8 a.m. to 9 p.m. daily. For more information, call (856) 429–6900 or visit shorthillsdeli.com.